Decorate Your Room with Disney Flair! If you are reading this, you obviously love Disney. You probably have a piece of Disney in the kitchen or living room. Since I’m 13, my Disney styling is confined to my bedroom. 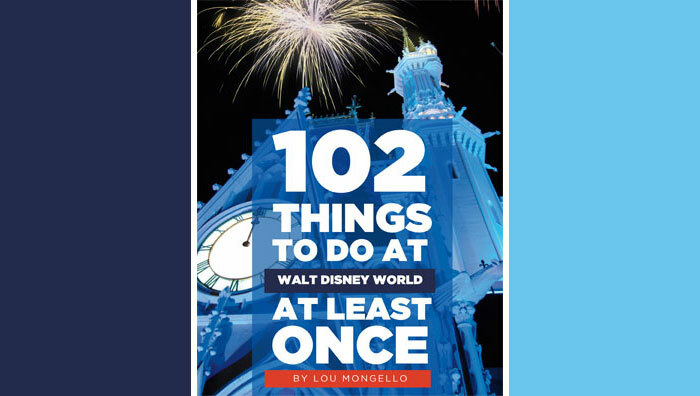 Here are ways to keep the Disney magic in your room, but not overwhelm it to the point that your room is drowning in pixie dust and dreams (which isn’t necessarily a bad thing…) I rated each item a number between 1 and 5 based on the “Fanatic Scale”. These are popular things. You probably know a few classic ones, like the ones where Mickey’s hands are the actual clock hands. These are so adorable! I have one in my room. 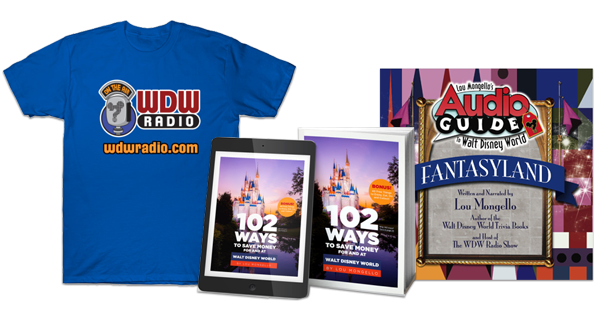 You can get them at many places, ranging from Wal-Mart to the Disney Parks themselves. The prices depend on where you buy the clock. These dice show Mickeys instead of the dots usually seen on dice. It is very subtle, and you wouldn’t notice the Mickeys unless you are studying the dice. They are meant to be hung from the mirror in your car for all the world to see, but I don’t own a car (too young to drive). Instead, they are hanging above my head, similar to where you would find a dream catcher. I have only seen them sold at Walt Disney World and briefly on the Disney Store website. Everybody has pictures in their room! Some people have pictures or their friends and other people have picture of their family, and some even have both! Pictures of you on vacations are also pretty popular, which is why it has such a low rating on the fanatic scale. It also depends on how many pictures you have displayed. I personally have a BUNCH. I have a full shelf dedicated to pictures, and at least half of them are from Walt Disney World, some don’t even have pictures of my family in them-just the Disney scenery. Having pictures of yourself hanging on your walls is normal-but of somebody else might be considered weird. However, if they are pictures of your idol-that assumption gets thrown out the window! I have a few nice pictures of Walt Disney on my wall: including one of him and Cinderella Castle where the whole picture is faded. In another photo I have, Walt is posing with some film from one of his cartoons, and the original Mickey Mouse is on his shoulder. It is so cute! I got these at the World of Disney in Downtown Disney. I don’t remember seeing them anywhere else. Vinylmations seem to be replacing pins these days. They are little statues of Mickey Mouse, but without the details. Designs are added to make them look like Disney characters, food, rides or places. You can trade them in the Disney parks and stores. They are kind of hard to explain, but I am sure you have seen them somewhere. There is one for everybody. I have a spice rack in my room that displays some of my favorite vinylmations. Robert Olszewski is an amazing artist and has created great Disney collectibles. My favorite thing that he has created has to be the Gallery of Lights. These little boxes depict scenes from the best Disney movies and rides. It looks like a picture frame with the light up scene inside. I only have one at the moment, which is Fantasia Mickey on top of his rock, but I hope to be getting one of the Disney Dream in November. Some other designs that I love include Cinderella Castle with Cinderella and Prince Charming dancing in front of it (and a shadow of the Partners statue! ), the Hitchhiking Ghosts and the jungle cruise passing by some hippos. Gallery of Lights aren’t that big and can fit in with any room theme. A lot of little girls have had princess bedding. As you grow up, it is harder to find a comforter that isn’t “kiddy.” I have a black, white, and gray Mickey Mouse themed comforter. I have seen some on the Disney Store Website that include the Mickey Mouse Club and Tinkerbell. The last Time I was at K-Mart, I saw some very well themed Mickey Mouse bedding for adults also. I love shadow boxes. I have one in my room that includes memories from one of my Disney trips. Shadow boxes are a shallow box consisting of a frame and a glass front in which small objects can be displayed. You can hang them on your wall, or leave them on a table or desk for everybody to see. They come in different colors and layers so they will match any decor. You can get them at most craft stores. I have talked about these before. Hallmark sells plaques that have Disney quotes on them. They are many different sizes. I have been collecting them for a long time, but I had NO idea what to do with them. One day I thought, hey! Why don’t I attach them to the outside of my door? They look really great on my door. Another idea on where to put them is right under where your ceiling meets the walls. I don’t have enough signs to do THAT, but maybe one day I will! You can only get the signs at Hallmark. It seems that every character Disney has created has been transformed into a plush character. As I kid, I believe that every person HAS to have one. Whether you put them on display or not is based on your personality. I have two stuffed animals out and the rest are in a container in my closet. My favorites are obviously the ones that are displayed – a medium-sized Oswald The Lucky Rabbit and A Baby Oswald (a small one). They sit side-by-side. I got them from my local Disney Store awhile back, and I am not sure if they still have it. I did see the baby Oswald online though. I have a lantern in my room that I purchased at the parks. It is a black rectangle with a side profile mickey silhouette on all 4 sides. When a candle is lit inside of it, Mickey’s silhouette is projected onto the walls of the room. I got it in Walt Disney World during the summer of 2011. I love it a lot, even though it is just a simple little thing that adds to the magic. Whether you prefer Lenox, Jim Shore or Precious Moments, favorite Disney characters have been captured in a figurine. From a classic Eeyore to a graduation celebration, these figures come with memories and always make you smile. My collection ranges from a 3 inch Peter Pan to a 12 statue of Walt and Oswald. The best part is, you can never have enough! Somehow my parents were able to surprise me last Christmas with a miniature Haunted Mansion sign that was given to cast members. It only measures about 6 inches tall but it holds a huge place of honor in my Disney collection. It is the one piece of memorabilia that no one I know has been able to get their hands on! Based on my self-designed fanatic scale, I scored a 43, how did you do? If you don’t have any of these things in your room, I suggest adding at least one. They are details (some little and some big) that show both your love for the Walt Disney Company and your age. After all, you’re never too old to decorate with Disney! Last Week’s “Where in the World?” picture was part of Expedition Everest, just like Tony E and Lindsey D stated. Rich: Thanks for the extra point! :). I love the Gallery of Lights, and next on my list is the Disney Dream boat, snce I will have the oppertunity to buy it in November. I’m a big fan of the more subtle Disney collectibles like the dice you mentioned. Among my favorite Disney merchandise is the antenna toppers for the different holidays. Unfortunately, I did not realize that there was not a Christmas one in the package and now I will need to make one or buy one on line. Love it. Totally agree with you 100%. UPDATE; I got a Gallery of Light for my birthday! It is the Wonder! I am so happy I got it.